This was a rather maddening challenge. (Typically, the shorter the poem, the less inspired I was.) But, I did it. 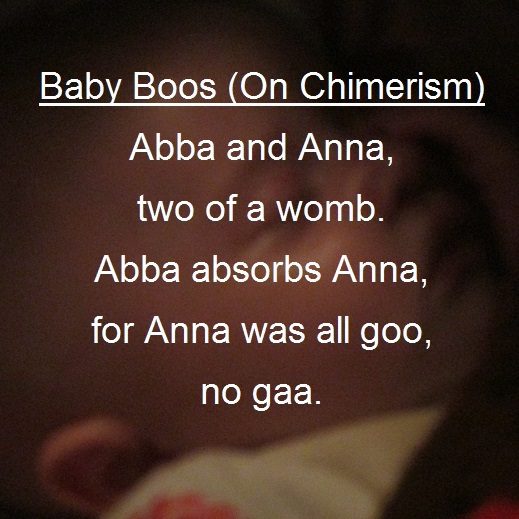 This squib of a poem was “inspired” by vanishing twin syndrome. For those unfamiliar with this phenomenon, here is the definition (from WebMD.com): when one of a set of twin babies miscarries and the tissue is usually absorbed.